From Deena King of Denton, Texas on 1/5/2018 . I am a huge fan of premium non-alcoholic juices and this was one of the best! Loved the raspberry flavor. 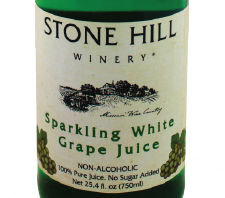 Thank you, Stone Hill, for such a great product!! From Grossnickle of Kansas Coty, Missouri on 11/1/2016 . The product is fantastic. I hate to pay the postage but what can you do? How about getting a distributor in the K.C area. I'll help just let me know. Thanks for the quick order. From Anonymous of Maryville , Tennessee on 10/31/2016 . From mg of chicago, Illinois on 10/11/2016 . 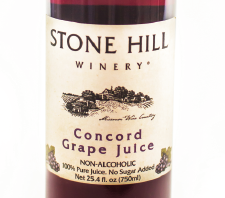 Excellent juice and also good when mixed with a white wine! From Anonymous of Noble, Oklahoma on 8/18/2016 . This is the best juice I have ever had! I'd say that we bought a case for our kids to drink when we drink wine but I'd be lying! It's definitely for me!